Front spread options are created when you design a ratio spread where you sell more contracts than you buy. It is the antithesis to the Backspread, where you buy more option contracts than you sell. Front spreads can be used very effecively as an adjunct to buying shares and can be a more preferable alternative to the Covered Call. You may have heard of the concept of Covered Calls? This is where you buy a parcel of shares and then sell call options, usually at a strike price above the price that you bought the shares for. The covered call strategy has limited profit potential, but it also reduces the risk associated with purchasing the shares, because the premium that you receive from selling the call options offsets the cost of the shares. Say you bought the stock at $50 and then sold $55 call options. 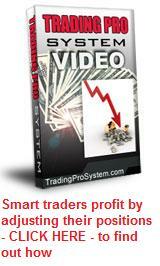 The maximum profit you can make on this trade, is $5 per share. Now ... let's see what we can do with front spread options. 1. Buy 100 shares in a company or ETF at $50 per share. 2. Buy 1 x $50 call option contract at $4. 3. Sell 2 x $55 call option contracts, for $2 each. You'll readily see, that the cost of the bought calls is covered by the premium received from selling twice as many $55 calls. But what have we achieved? Well, looking at it another way, you effectively now have a covered call position combined with a bull call debit spread. If you don't have enough money to buy the shares, a cheaper alternative might be to buy long dated LEAPS options instead. If the price action of the underlying continues to rise, then you benefit from both the appreciation of the share price, up to $5 maximum, plus the profit on the debit spread. You effectively receive double leverage on the stock from $50 to $55. If the stock price falls, all the options will expire worthless and your risk remains entirely with the depreciation of the share price. You could choose to protect this by purchasing "insurance" in the form of put options, or the cheaper alternative - a bear put debit spread. If the stock price remains stagnant, the options expire worthless and you have a breakeven position in the shares. It should be noted that there are no naked positions here. The first 55 short call is covered by the stock. The second 55 short call is covered by the long 50 call. The appealing thing about front spread options, is that when buying shares, they allow you to realize more profit to the upside without adding any additional risk to the downside.